Preventing your freshman fifteen can be a struggle with all the dining options in Madison. As a college student you’re also on a budget so keeping meals cheap is also important. Then on top of both of these interests, helping the environment, eating high quality food, and having multiple options is definitely a plus. 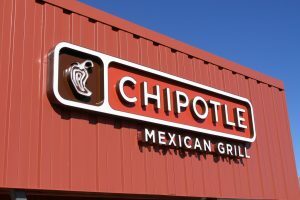 Chipotle’s grand variety in options makes it virtually impossible to tire of, the food is extremely diet friendly, fairly inexpensive per calorie, and has high standards for the food served. So let’s talk our options. If you’re a regular old Joe get a bowl or burrito with whatever combo of rice, beans, meat, salsa, and such that you please. This standard meal is under eight dollars but can be over or under 1,000 calories, depending on your choices. If you just got done at the SERF or NAT and want to get some extra protein in, double meat is definitely worth the price. 1,000 calories may seem like a lot, so if you want less than opt for no rice and get a bowl. This instantly adds or drops 500 calories. Having a great variety in options and thus flexible in caloric amount makes Chipotle an amazing dining option at the edge of State Street. To add to this Chipotle’s “Food with Integrity” mission statement speaks to their obsession with using high quality ingredients and ensuring the animals raised for it’s meat are treated humanely only further the reason to dine here. Then paying less than seven dollars for nearly half of the recommended daily caloric intake is definitely budget friendly. Chipotle is the place to go!